Carson Frame talks with veterans groups about the nomination of Ronny Jackson as VA Secretary. 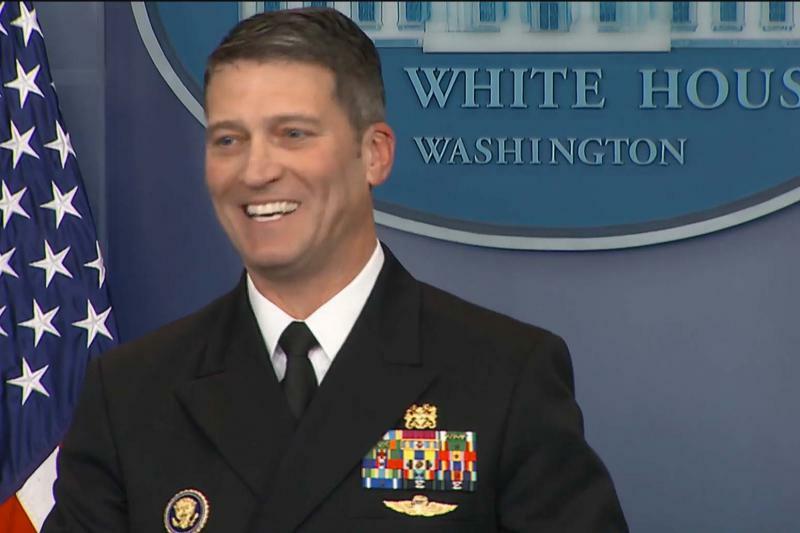 It's typically a low-profile position, but Jackson had a rare moment in the media spotlight in January, when he appeared in the White House briefing room to release the results of President Trump's annual physical. "All clinical data indicates that the President is currently very healthy, and that he will remain so for the duration of his presidency," Jackson declared. "I told the President that if he'd had a healthier diet over the last 20 years that he might live to be 200 years old." Some observers speculate that Jackson's glowing report on President Trump's health played a role in the President's decision to nominate him as Secretary the Department of Veterans Affairs. President Trump ousted Secretary David Shulkin after a turbulent 14 months in the position. "I think that Donald Trump was enamored by having Ronny Jackson go out and say something like that before the press corps," said Will Fischer at the left-leaning political action committee VoteVets. "And it was that moment that I think Ronny Jackson probably became Donald Trump's new VA secretary." 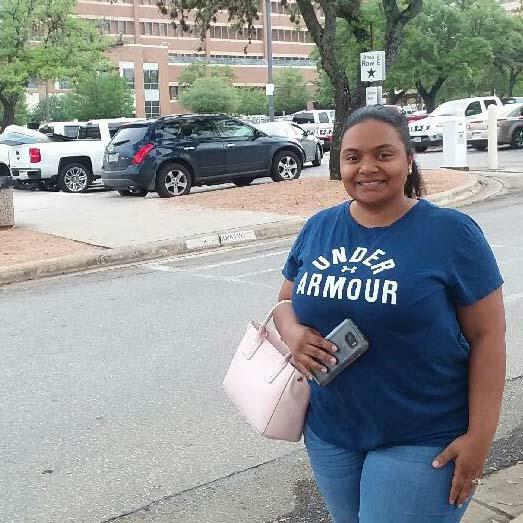 A native Texan, Jackson joined the active duty Navy in 1995 after finishing medical school at the University of Texas Medical Branch in Galveston. He went on to graduate from the Navy's Undersea Medical Officer program, and specialized in resuscitating troops during the Iraq war in 2005 and 2006. But Fischer suspects that his nomination may be part of a larger push to privatize the VA.
"There is a coordinated effort being led by Donald Trump and others to destroy and privatize our VA healthcare system," Fischer said. Other veterans groups are taking more of a "wait and see" attitude and asking a lot of questions. "We were surprised," said American Legion Executive Director Verna Jones. "He seemed to have just come out of nowhere." The VA is one of the largest healthcare systems in the world, with a budget of almost 200 billion dollars and around 350 thousand employees. Jones says Jackson will have a lot on his plate, and that the American Legion will try to support him. "There are 20 million veterans in the United States and nine million are enrolled in the VA," Jones said. "So the new secretary's going to have to come in and manage all of that." Army veteran Melissa Cervantes worries about VA Secretary nominee Ronny Jackson's lack of experience in the agency. He also would take over the agency at a tumultuous time. President Trump ousted Shulkin after about 13 months on the job. Shulkin called the Washington environment "toxic, chaotic, disrespectful and subversive." Richard Delgado of the San Antonio Coalition for Veterans and Families said Jackson's military experience is appealing in such an environment and could help him get a handle on the VA.
"With him being an admiral, that also shows his leadership style and the type of person that he is," Delgado said. "You don't make admiral just willy nilly." "I felt like Shulkin had more experience," Cervantes said. "I don't know anything about this one coming in." Cervantes said she worries the change will affect quality of care for her and her husband, who's also a veteran. "Everyone has different plans, agendas," Cervantes said. "You never know what the new person coming in is going to do, whether they care about veterans or not." A White House official told CNN that Jackson will resign his commission and retire from active duty if he's confirmed as VA Secretary. In the interim, Robert Wilkie, the Undersecretary of Defense for Personnel and Readiness, will be the acting VA secretary. "If I'm in the wrong, I'll admit it. 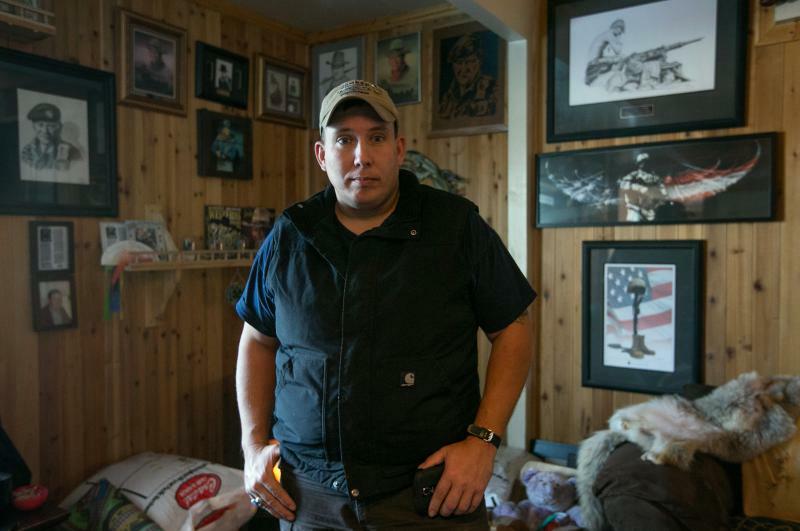 But I'm not going to let somebody just push me around, especially the VA," he says.